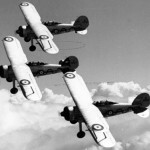 The Battle of Britain was fought in the skies over England which placed the men and women of the RAF in a unique position. They would fight desperately for survival when on duty but then find themselves surrounded by the trappings of their civilian lives when off duty. This addition of familiar people and places added an air of unreality to the fierce summer battles. But it also gave the pilots a chance to unwind from the pressures of constant action. During the hot summer of 1940, the front-line squadrons in South-East England found themselves flying upwards of six sorties a day. This physical strain, coupled with the emotional stress of losing their comrades was devastating. 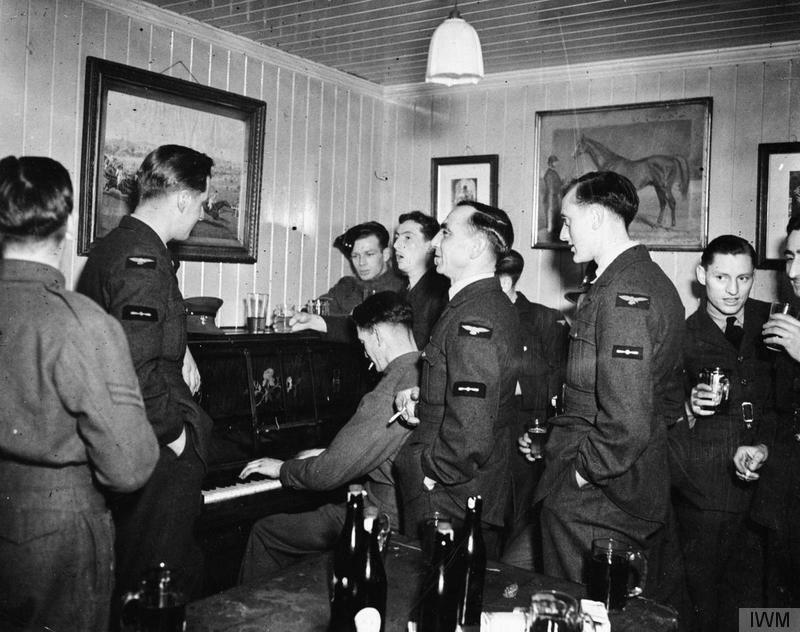 So the pilots spent their off-duty hours drinking in local pubs, carousing and singing late into the night. It was a chance to unwind, laugh, and forget the war. But these nights spent in the pubs also created friendships and cemented the squadron together. The jokes shared, songs sung, and stories told all created a common bond that would have been impossible to form on duty. 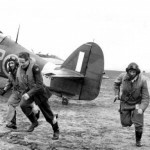 This bond gave the RAF pilots that unquantifiable, profound strength that saw them through that dangerous summer. Pilots tended to congregate in the “locals” that were close to their airfields. But by no means did all nearby pubs became their haunts. They tended to look for places where they could raise hell without attracting the attention of their superiors. 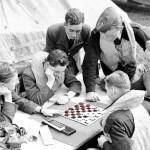 Although there was some intermingling, ground crew and aircrew typically used separate pubs. RAF Biggin Hill is a good example. The ground crew frequented the Old Jail Pub while the pilots went to the now famous White Hart in nearby Brasted. Many of the pub owners let the pilots inscribe their names in the walls and ceilings. At the Eagle in Cambridge the pilots used lighters to burn their names in the ceiling. 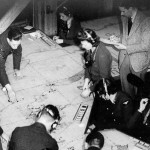 The White Hart has a famous blackout board with the signatures of many famous RAF aces. Some pubs still have these signatures on display today. Several of the pubs, such as the Black Bull and The Chequers hosted both RAF pilots, and later in the war, Americans pilots of the USAAF. I also learned that these historic pubs and inns are closing all over England. Most of these pubs are local village pubs, with histories that stretched back hundreds of years. Unfortunately the pressures of modernization have transformed village life and many pubs like the famous Three Horseshoes don’t survive the transition. The map is still a work in process and is by no means comprehensive. I’ve focused on the watering holes used by Fighter Command pilots during the Battle of Britain. I’ve also included a few pubs Bomber Command used and a few from later in the war where I felt the pub was historically significant. So, who’s up for a pub crawl? This entry was posted in Behind the Scenes, History, Uncategorized and tagged drinking, Fighter Command, map, pilots, pub, squadrons. Bookmark the permalink. The Bell at Aldworth in Berkshire. The nearby airfield at Hampstead Norris was technically OTU/Bomber Command, although it was bombed during the Battle of Britain. I think they also did a little bit of SOE work form there. Anyway, the pub is virtually unchanged since before the war. If you every get a chance to pop in it really is a time warp. I think it even won an award for the best historically preserved interior. If you do go they don’t take card payments. They only sell Bitter and the menu extends to anything that can be squeezed into a bread roll. When the fire is roaring if you squint your eyes it could be 1940. I think the same family have owned it for 200+ years. Thanks, this is a fantastic addition. Since you posted this, I’ve been researching that pub and it sounds like a must see. I read a great aviation related story on the CAMRA website that recounts that in 1978 one hundred regulars at the pub chartered a Concorde to fly them to Spain for their annual pub outing. (http://www.heritagepubs.org.uk/pubs/real-heritage-pub-entry.asp?NatPubID=BEW/004) I’m making a June trip to England and this one is definitely on the list. The Dirty Duck in Stratford upon Avon was very popular with RCAF Bomber Crews from the Airfields at Alderminster, Wellesbourne and RAF on leave in Stratford. Thank you very much Steve, I’ve added your information to the map. 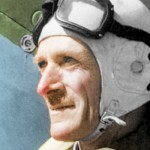 Interesting story about how it carries two names, with the Dirty Duck having been given by American GIs.